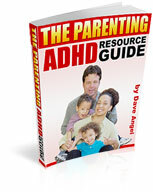 Help For Parents Of Children With Aspergers – From The Beatles! And the best bit is that you don’t even need a Kindle – you can read Kindle books on most smart phones, computers, lap tops, IPads by clicking this link to download Amazon Kindle free software. I recently spoke with Marc Lazaar from an organization called Aspiritech. Aspiritech are a not for profit company set up just outside Chicago, Illinois in 2008 to provide employment for adults with high functioning autism or Aspergers. The organization was set up by Brenda and Moshe Weitzberg after they had just seen their son with Asperger’s fired from his part-time job bagging groceries (in spite of his 4-year university degree). They are set up to do software testing for companies; and the idea originated from a company in Denmark doing a similar thing. They currently have 14 part time employees. 1. Attention to detail – They are often very skilled at being able to see the little details that many neurotypicals may miss. Marc gave an example where they were software testing for an online financial trading software. In the software the company Apple is represented by its stock ticker of AAPL. Now if people type in all lower or all upper case like APPL or appl the software worked fine. But no-one wondered in testing what would happen if a person typed in for example Aapl or some mix of lower and upper case of that nature. Well one of the employees at Aspiritech tried this very thing out and found that this was indeed a BIG flaw in the software – faced with this it the software just didn’t work! So this one flaw being detected saved the company a great deal of money and showed the skills displayed by someone with Asperger’s in this work. 2. They focus in on something they enjoy – Marc finds that many of the employees get SO focused on the task in hand that they can even forget to take breaks! This quality of real focused effort again can again make the employee with Asperger’s a very attractive prospect to an employer. Social skills which lead to so many people never passing the interview stage. The self-discloure debate. If you do disclose that you have Asperger’s then you may be discriminated against. And whilst such discrimination is illegal; that is not to say it doesn’t go on in the employment field. But on the other hand self-disclosure is the only way to ensure that your employer can try to help meet your needs. This one area alone is quite a minefield. Networking – It’s often not what you know, but Who you know. Many jobs are found through networking and informal means, rather than in job listings. Adults with Asperger’s tend to not have great networking skills and abilities. Stereotypical perceptions – Many employers (and the general public at large) still have very stereotypical perceptions of autism/ASD (e.g. assuming that everyone on the spectrum is like the movie character in Rain Man). * See if you can take a job coach or friend with you to help with any social understanding issues that may arise. * Talk about what you can do and your skills, rather than try to sell yourself (let your work sell you). * Try to have an already established connection – e.g. by interning or volunteering at a company prior to any job application. In this second article taken from a recent interview with Kareen Hannon I am going to share with you some of the basics of coaching for parents of children with Asperger’s. Coaching is used to help empower parents to find solutions for problems that they re experiencing with their child. The emphasis is on the parent as the expert who already has a lot of the answers – but needs help (from the coach) to draw them out. The key to coaching is the relationship between the parents and the coach. Kareen herself will turn down coaching clients if she feels that the relationship/feeling between them is not one that is well matched. The aim of coaching is to be a short term approach which quickly brings practical results to problems. This is done by breaking problems down into small achievable steps. Until eventually getting to the stage of actually going to a pool with a swim suit. And as you can see this was carefully broken down into small little stages rather than a rushed plan which may have overwhelmed the girl. Coaching also offers a different approach to more typical therapies; which can have advantages for both parents. It is much more based on practical problem-solving skills than talking about emotions and feelings which more typical therapy focuses on. This can make it quite attractive to dads, as men traditionally are not as easy in talking about their feelings as women. Likewise this practical approach can be helpful too for moms, as it means that they can engage more with dads on the subject. And often the dad can help the mom to rationalize some of her thought/feelings and between them come out with a good practical plan or approach. And the ultimate goal for coaching is to have the parents say “I think we’ll be alright now” and for the coaching to end. So rather than years and years of endless therapy the idea is short term focused work which is easier for parents to sustain in terms of time, effort and money. Today I’d like to talk about parents being the experts of your own children. And this blog post was inspired by a recent interview with Kareen Hannon who is a certified coach from New Hampshire, USA. She specializes in working with parents, and also with young people who have ASD. She herself has a child on the autistic spectrum and told me that over time she has learnt more and more about ASD. Kareen then took that knowledge and applied it to her own son. The doctor was referring to the fact that she was obviously the Number One expert about her son (which all parents are). But also that she had the best possible knowledge of the day-to-day needs of her child with ASD. The doctor could help with the diagnosis, medical issues, and some ongoing hints and tips. But as mom Kareen had made it her role to read and apply all kinds of material on ASD to her son. Plus her learning on a daily basis as the parent of a child with ASD far surpassed that of the Dr’s knowledge in this area. And I have to say that this is an ESSENTIAL learning point for all parents – that in so much of your child’s life you are the EXPERT. Not the doctor, therapist, teacher or other professional. You are there each and every day with your child doing the best you can; and learning invaluable lessons just through that experience. Now I am not saying that professionals don’t have their uses. Because they most certainly do and they bring their own expertise – be it in the field of education, medicine, speech therapy or something else. But they are not THE EXPERT on your child – you are. I know for many parents this is just a reminder of what you already know. But for others this may (I hope) make you sit up and think. Because it is a natural tendency for many of us, for example, to think the doctor knows best. I know I was raised with this as a fairly central belief and that’s what my parent’s generation believed. However whilst from the medical training view the doctor does know best – they don’t know everything about your child. What is the effectiveness of this approach you are advocating? How does this approach actually work, can you explain it in simple non-medical jargon? What about these particular behaviors that he is displaying? And so become an active part of the process and not just be passively TOLD about everything. Now this goes for schools, therapists and everyone involved in your child’s care. And to be clear – I am not advocating disrespect or distrust of professionals; far from it. There are amazing doctors, psychologists, teachers and therapists out there. But you cannot afford to take everything that they tell you is best for you child, without question. So be empowered that you have the knowledge about your child to ask the right questions and work with the professionals to get the positive results for your child that everyone wants. I had meant to write more about Kareen and some great information she shared on Asperger’s and coaching but I got side-tracked today! I’ll bring you more of this later in the week! Welcome to the latest edition of “The Parenting Asperger’s Newsletter”. I just wanted to update you on several recent interviews I’ve done with experts in the field of Asperger’s. Firstly I interviewed Kareen Hannon who is a coach for parents of children with Asperger’s from New Hampshire, USA. And I also interviewed Marc Lazaar who works at Aspiritech (a software testing company from Illinois that employs adults with Asperger’s). Both of them gave me some great insights into the world of coaching and employment for people with Asperger’s. You can look out on my blog for articles from them both in the coming weeks. Summer can cause parents of children with Asperger’s Syndrome to panic. After months of regimented school days and various therapies, the family is free of outside influences. Parents may question what to do next. Should they find private therapies, or should they just fill their summer with fun family activities? The answer, of course, varies for every family. Jennifer Cook O’Toole is an American author of Asperkids: An Insider’s Guide to Loving, Understanding and Teaching Children with Asperger Syndrome, and upcoming The Asperkids’ (Secret) Book of Social Rules: A Handbook of Not-So-Obvious Guidelines for Teens and Tweens, both Jessica Kingsley Publishers, 2012.